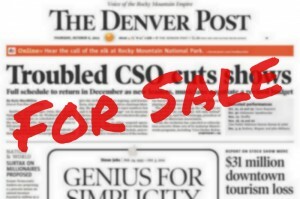 DENVER NEWSPAPER GUILD and Denver Post representatives met May 8. The session began with the union’s committee explaining safety concerns related to the company’s plan to have production maintenance employees work across trades. We asked the company to provide required electrical safety training for all employees in the production maintenance department. Management committed to research required training and to provide it. An agreement was reached on the pay scale for the new Production Technician position. The position will start at $24 an hour and advance to $25 after one year of service. Current production maintenance employees will retain their current pay scales. One production maintenance issue has not been resolved yet: The company wants to move all production maintenance employees into the new title within the next few months. The union proposed to retain current job titles for current employees until everybody is fully cross-trained. Circulation management thanked the District Managers at the meeting for the great job home delivery employees have done. The company proposed to cut $411,000 out of home delivery labor costs. That amount is in addition to the savings from the recent layoff of five District Managers and five Assistant District Managers. Management asked the union to propose how to achieve the proposed expense cuts. The union presented a proposal attempting to achieve the savings needed to compete with the bid from a call center located in Honduras. Under the proposal, most of the savings are achieved by combining the inbound and outbound staff and duties, eliminating all commissions and reducing full-time hours. The next session is scheduled for May 24.